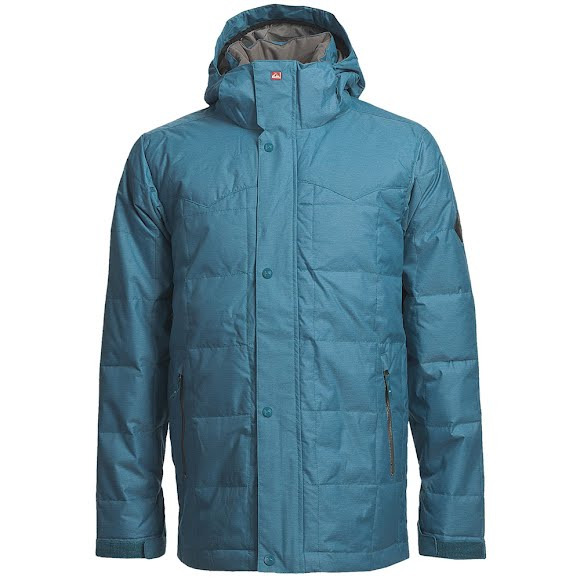 Shred the mountain in style this season with the Caiman Down Jacket from Quiksilver. This cozy jacket offers a highly water-resistant construction as well as a down-filled exterior collar with soft lining that will be handy on those colder days. Shred the mountain in style this season with the Caiman Down Jacket from Quiksilver . This cozy jacket offers a highly water-resistant construction as well as a down-filled exterior collar with soft lining that will be handy on those colder days. Weight 3 lb. 4 oz.